Chemical peels utilise chemical solutions that are applied to the skin to cause controlled exfoliation and remove damaged, outer layers. The new, regenerated skin has improved appearance and texture. Pumpkin Peels: An alternative to acid peels, they utilise pumpkin ferment as their active ingredient. Available in 60% and 100% strengths, making the former suitable for pregnant women. What are the benefits of Cosmeceutical Peels? 60% pumpkin peels are safe for pregnant women. Skin is thoroughly cleansed. The peel is applied for the appropriate amount of time depending on skin type. 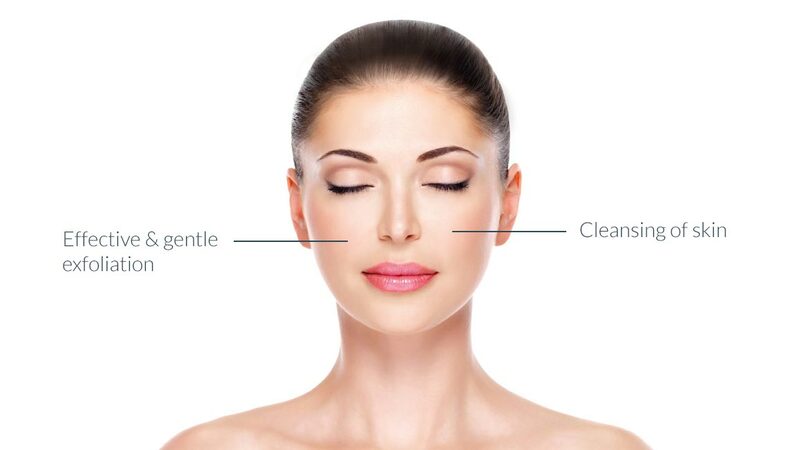 The professional products used here at Pure Medispa provide effective exfoliation and increased cell turnover in a gentle, less aggressive manner than most peels available today. This means there is mild redness, stinging, flaking and irritation associated with peel treatments. All peels can be enhanced with Retinoic Acid (Vitamin A) or TCA 10% if stronger peeling is required. Depending on your skin type, treatment plans are tailored to suit your needs and your desired results. Typically, one treatment per week of 6 treatments is required for optimal results. Available for later appointments upon request.